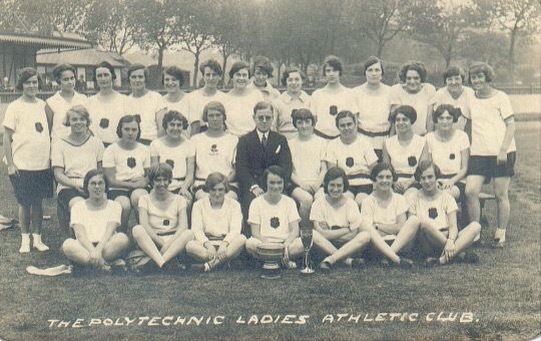 The 1923 WAAA Championships were the first national track and field championships for women in the UK. The tournament was held on 18 August 1923 at the Oxo Sport Grounds in London, United Kingdom. After the successful first 1922 Women's World Games in Paris and the three Women's Olympiads (1921 Women's Olympiad, 1922 Women's Olympiad and 1923 Women's World Games) in Monaco the interest for women's sports also grew internationally. In 1922 the "Women's Amateur Athletic Association" (WAAA) was founded in the UK, that year several ”national” women’s track meet were held. In 1923 the WAAA now organised the first official British women championships in track and field (WAAA Championships). In the US the "Amateur Athletic Union" (AAU) sponsored the first national championship for women in track and field on 29 September 1923. The meet was held on 18 August at the Oxo Sport Grounds in Downham, Bromley  in South London. The athletes competed in 11 events: running 100 yards, 220 yards, 440 yards, 880 yards, relay race 660 yards, hurdling 120 yards, high jump, long jump, shot put, javelin and track walk  880 yards. 3 unofficial world records were set: Mary Lines in running 440 yards and hurdles 120 yards and Edith Trickey i track walk 880 yards. The tournament was a huge promotion for women's sports. Many of the participating athletes also competed in the 1924 Women's Olympiad at Stamford Bridge. ^ a b c d e "British Athletics Championships 1919-1939". GBR Athletics. Retrieved 8 March 2018. ^ a b c d e "The inaugural WAAA championships". Runner 500. Retrieved 8 March 2018. ^ a b c d "World records set in Britain". GBR Athletics. Retrieved 8 March 2018. ^ a b "Race walking". Race Walking Association. Retrieved 8 March 2018. ^ a b c d "Robinson, Lynne: Tripping Daintily Into The Arena" (PDF). University of Warwick, 1996 (Thesis), page 110-111. Retrieved 8 March 2018. ^ a b c d "British world record breakers". GBR Athletics. Retrieved 8 March 2018. ^ a b c "AAA, WAAA and National Championships Medallists". National Union of Track Statisticians. Retrieved 8 March 2018. 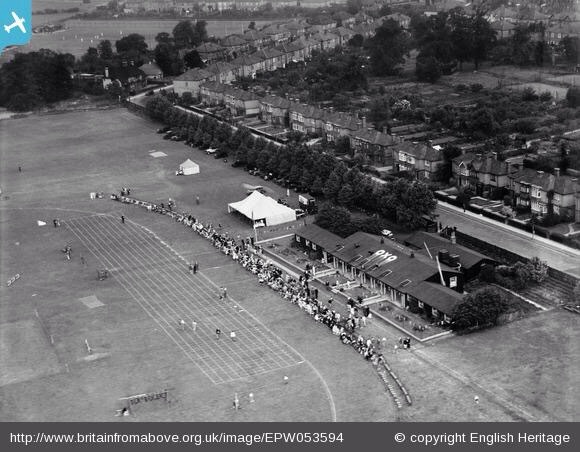 ^ a b c d "Duval, Lynne: The Development of Women's Track and Field in England" (PDF). The Sports Historian May 2001, vol. 21, nr 1, p 10-11 (LA84.org). Retrieved 8 March 2018.